What’s it like to live in a marvellous magical bookshop…? Imagine Harry Potter with more laughs and more books. What’s not to love? Property Jones doesn’t live in a house, or a flat, or even a hotel. 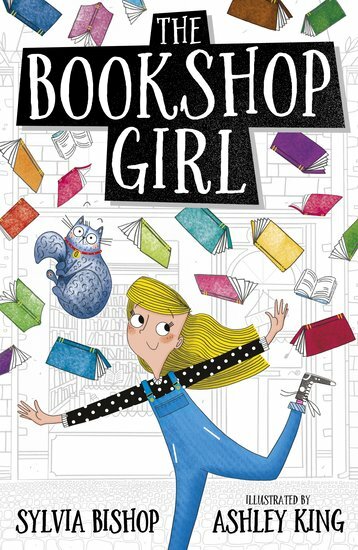 She lives in a bookshop! She was left in its lost property cupboard when she was five. (That’s how she got her odd name.) But – pssst! Though Property loves books, she has a whopping secret: she can’t read! Then her family win a HUGE raffle prize: nothing less than the world’s greatest book emporium! Soon Property steps into a world of wondrous books, scheming villains, a grumpy cat – and heaps of magic! I LOVE IT SO MUCH! I CANT STOP READING IT!